Professional basketball’s labor negotiations have so far moved through three stages: Very public grandstanding, mean-spirited negotiations, and a series of far-flung ultimatums. We are now in the post-negotiations phase—a phase that David Stern, Comissioner of the NBA, has referred to as “nuclear”—in which each of the three parties involved has gone its own way. The NBA—for labor purposes, the team owners and Stern—have yanked their best worst offer and replaced it with one that would undo decades of uneasy cooperation. The NBPA (the union) filed for a disclaimer of interest, allowing the players to take their case to court and argue that the other side never played fair. And that leaves the fans, who are forced to come to grips with the possibility that the 2011-12 NBA season may never happen. Stern, who takes great care with his words, has warned that the league is “headed for self-destruction.” In its extravagance, that assessment gets it exactly right. All along, the tough talk seemed bound to resolve into compromise. Instead, things got continually worse. This is a league in utter disarray: its owners hell-bent on making great gains for themselves, the players feeling outright insulted, and the fans left behind to pick up the pieces. NBA journalists and the league’s average fans have gone from optimism, to frustration, to something altogether uncharted. It’s part fatigue, part denial, and in some cases resembles a crisis of faith. The CBA negotiations were supposed to be a mere workplace formality, albeit a particularly nasty one. It wasn’t that fans were unaware that sports is a business. It’s that they presumed the NBA would act like a rational enterprise. They just never imagined that the league would respond to its extraordinarily successful 2010-2011 campaign, which shattered all sorts of ratings records and shaped some of the most exciting basketball narratives of a generation, by throwing it all away. The fact is, the NBA brand hasn’t been this strong since Michael Jordan ruled the roost. LeBron James, Dwyane Wade and the rest of the reviled Miami Heat were supposed to get a chance to prove themselves—or reinforce the moralized belief that they represent the worst kind of mercenary assemblage. In the West, Kobe Bryant and his aging Lakers were going to look to add one more title before the sun sets on their current squad (and Bryant’s career). In the East, Kevin Garnett and the Celtics would look to do the same. Kevin Durant’s youthful Thunder, who made the Western Conference Finals in 2011, would continue chasing their first championship. So would explosive Bulls guard Derrick Rose and his defense-oriented team, a year removed from an Eastern Conference Finals run. No one knows what the Knicks, who boast flamboyant scorers Melo and Amar’e Stoudemire, would have been able to do with a full training camp under eccentric coach Mike D’Antoni. Depending on who you ask, superstars Chris Paul and Dwight Howard are on the cusp of defecting to a major market, or ready to contend with the Hornets and Magic, respectively. And don’t forget the Dallas Mavericks, the 2011 NBA champs, looking to repeat with Dirk Nowitzki as the hub and a rotating cast of vets situationally carrying the day. This is a league so flush with talent that one of its most dynamic young stars, John Wall, is stashed away on a piteous Washington Wizards team. The players know they have no real leverage in their negotiations, other than the once-removed belief that fans care about them, not the largely faceless owners. And so, since the lockout got its start, they have done a tremendous job of tantalizing fans, and taunting ownership, by playing basketball as much as possible. Stars like LeBron and Carmelo have taken part in benefit games and exhibitions, often with plenty of other pros joining them. Durant undertook a barnstorming tour that went far beyond any possible marketing recommendations. Thanks to YouTube, and even a few hastily arranged video streams, the product is close enough for the fans to taste it. The players are trying to communicate that they’re ready, and eager, to get back to work. All they need is a fair offer. Yet this strategy may have backfired. NBA players are not naturally identified as working stiffs. 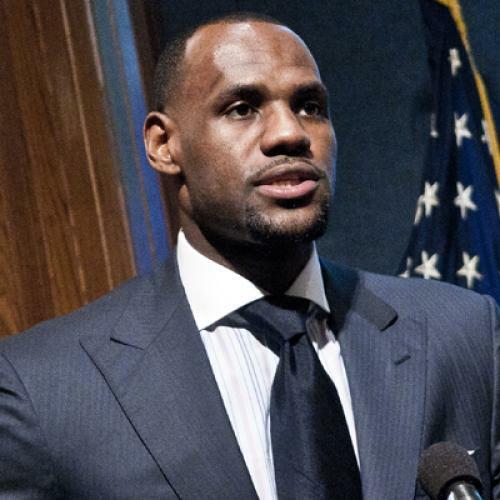 Most of them are wealthy, and in the case of the league’s superstars, like LeBron, they are corporate megaliths. What's more, while visibility and notoriety can build up demand, it also provides an easy target for resentment. Owners have the advantage of their invisibility, their ability to hide behind the impenetrable technicalities of the negotiations, from BRI (Basketball-Related Income) to salaries in escrow. This stuff makes the eyes of fans, and reporters not trained in hard economics, glaze over. It’s much easier for fans to focus their frustrations on the players: if they are out there performing regularly, why are they unwilling to suit up for their proper employers? It’s not the only structural advantage that the owners enjoy. The players’ greatest asset, after all, is their physical prowess—but that’s an asset that loses its value over time. A player can stay in shape and keep his conditioning up during the lockout, but the simple process of aging continues to take its toll. This, no doubt, is part of the owners’ calculations. Their own greatest asset, namely the financial capital that keeps the league running, isn’t as susceptible to the ravages of time. Ultimately, the lockout has revealed that the NBA isn’t a collective entity with clearly identifiable collective interests, but rather a collection of independent businessmen jealously guarding their own individual interests. We may think of Stern as someone empowered to shape the league’s future. But during these negotiations we’ve been reminded that Stern is a mere employee of the owners, not their leader. The owners have the money; their votes have the final say on any labor agreement. David Stern can attempt to influence them, but in the end, the NBA is run by people mostly worried about their bottom lines and personal portfolios. Some like basketball more than others; certainly, all are feeling the effects of the recession, whether through their sports franchises or in their other companies, and they have no legal obligation to worry about the league as a whole. The calculus does not favor the sentimentalists among us: There are more small-market franchises—the teams most desperate for reduced salaries, under the guise of financial relief and competitive balance—than big, venerable institutions like the Lakers that understand the value of tradition, continuity and, well, basketball. David Stern can try to be the voice of reason, but he can’t assert any kind of prerogative, moral or otherwise. When he worries about “self-destruction,” he is no doubt thinking of the decades of work he invested in making the NBA a global brand. Stern’s is not necessarily the fan’s perspective—he is, after all, a media-savvy tycoon with a union-busting background—but he at least has a conception of the sport’s best interests. We see how much it pains him to watch what should be a banner season—in terms of excitement and revenue—squandered because, in the most myopic sense, owners can afford to do so. Stern sees a wasted opportunity, much like the fans, who stare in disbelief at a full slate of intrigue sure to generate plenty of revenue. But in the end, circumstances will be the same a year from now, and the people with the power to disappear this season are fine with that sacrifice. That’s the dirty little secret about the owners—they are indifferent to the players, fans and sport as a whole. It’s a type of corruption, however, to which any of us is potentially susceptible. After all, Michael Jordan was once Stern’s ally in his long-term efforts to unify, and expand, interest in the NBA. Now that he’s the owner of the Charlotte Bobcats, Jordan’s got other, more parochial, concerns. Bethlehem Shoals is the co-author of FreeDarko Presents: The Undisputed Guide to Pro Basketball History, and an editor at The Classical.